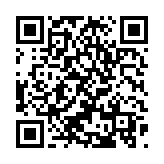 Try it free for 90 seconds, then buy the in-app to unlock the time and make your 5 minutes daily exercise. 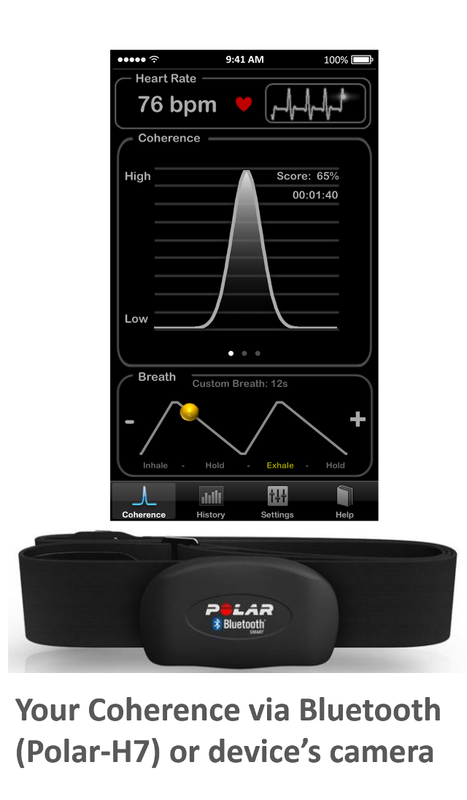 Simultaneously measure your heart rate plus get guided breathing sessions and, in the meanwhile, measure the Coherence between your heart rate and your breath. Three functions in one application for your well-being! 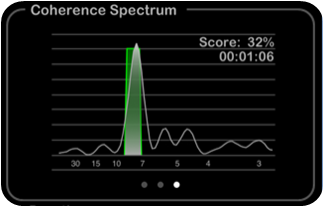 Want to know more about how to get the best from coherence? Follow the course of Dr. David O'hare! 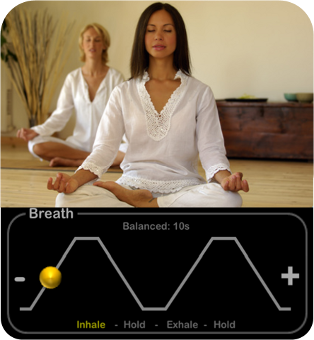 Breathing exercises have been shown to help reduce stress, improve mood and make	you feel more relaxed and energised with positive effects on the performance ( read scientific research ). Follow the small yellow ball to perform the guided breathing exercise. 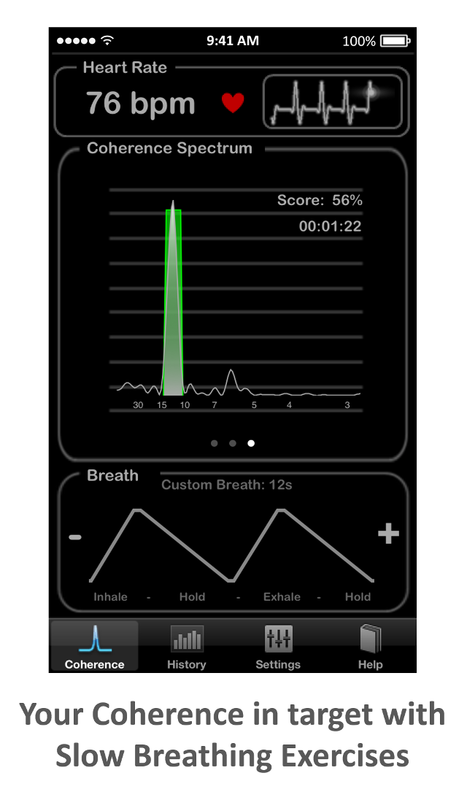 But how do you know you are actually doing your breathing exercise well? 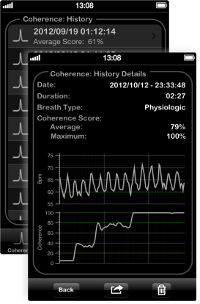 You can know it through your heart rate variations. 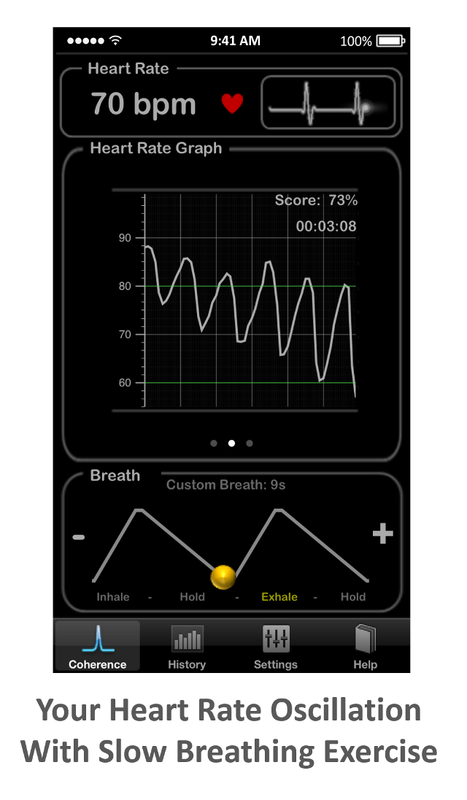 While you perform the breathing exercise, HeartRate+ monitors your heart rate . 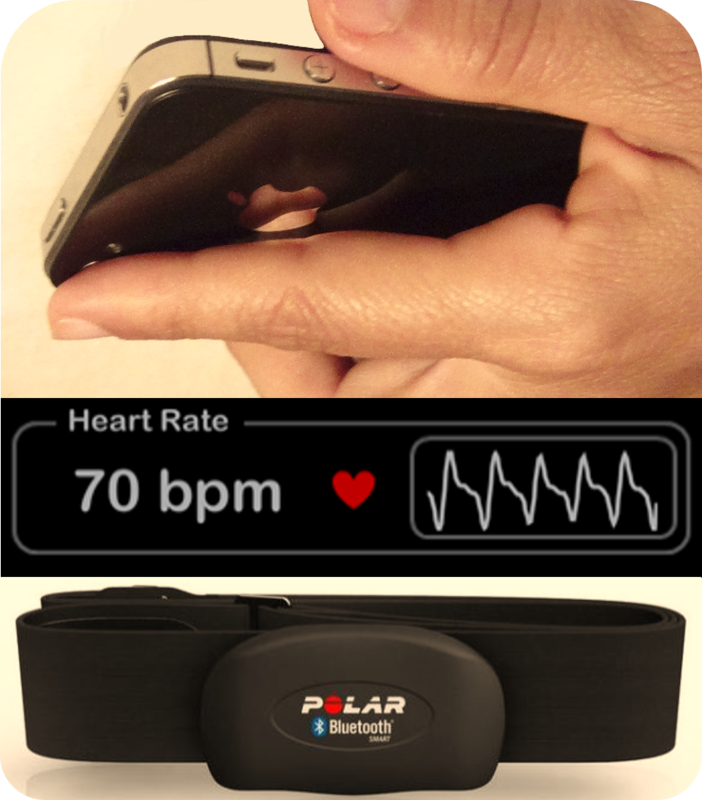 Hold the tip of your finger over the camera lens, or wear the belth and enable the Bluetooth connection. 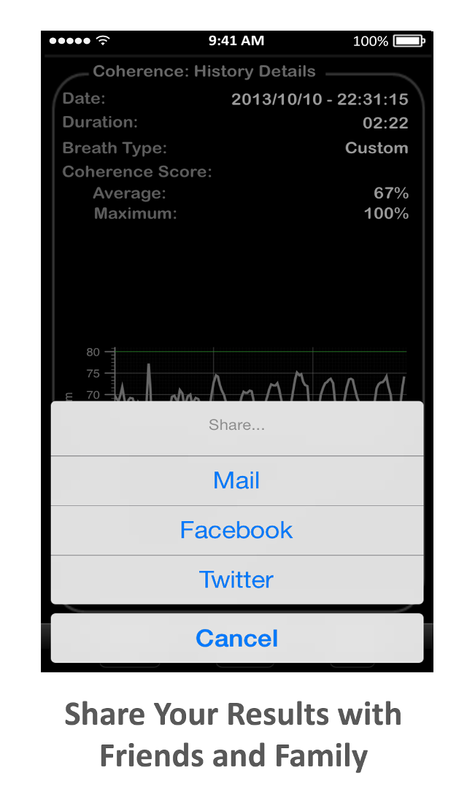 HeartRate+ is the first application for iPhone able to measure how well you are doing your breathing exercises by means of displaying the reached level of Coherence and the related average score. 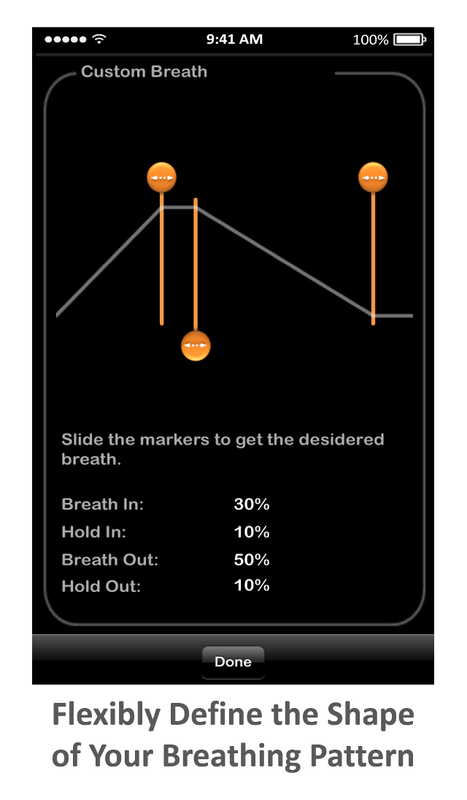 The physiological principle of the Coherence is based on the fact that your heart rate increases while you inhale and decreases while you exhale. 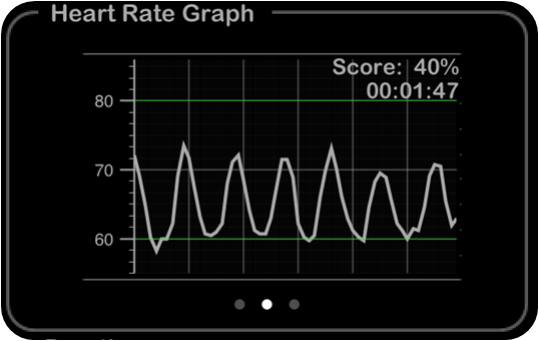 HeartRate+ also displays the graph of this variation. 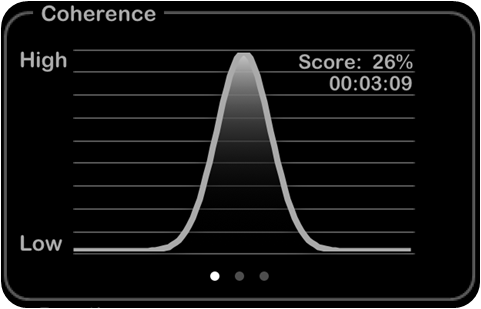 For a more professional use, like Yoga Masters, HeartRate+ provides, as an option, the in app Coherence Spectrum. 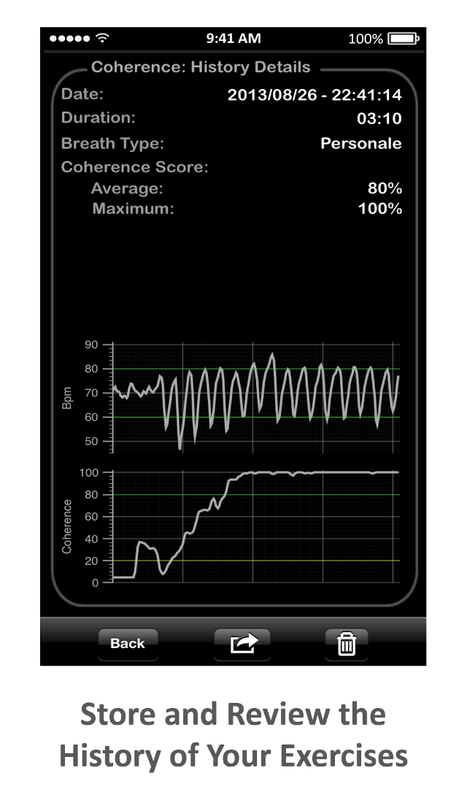 With this view you can visualise the heart rate components outside the target frequency. With HeartRate+ each exercise is saved, so you can review your history at any time. From the history table summary you can access the details of each performed exercise. You can also delete any of the performed exercises.